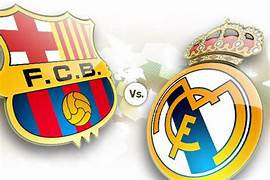 Last time when the two teams met Real Madrid lost 5-1 with Barcelona at Camp Nou but this semi-final 1st leg fixture might be very tight according to Barcelona Manager Ernesto Valvedre. As Madrid are in good form right now having won their past five games in a row in all competitions whereas Barca were held by Valencia with a 2-2 draw. Madrid are also on a hectic schedule right now where they have 4 fixtures within a matter of 10 days including a derby against Atletico Madrid within 2 days of Classico. Even though Messi is included in the matchday squad he mightnot feature in the match due to injury. Two french players Osumane Dembele and regular center-back Samuel Umtiti are absent from the classico including back-up keeper Jasper Cillessen and Rafinha from Barca whereas only Jesus Vallejo is the absent from the Madrid squad. For the 2nd leg to be played on 28 of this month, this 1st leg result might provide huge boost for the side who comes on top.